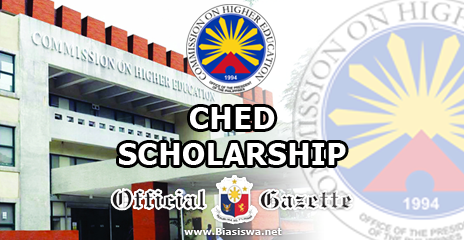 CHED Scholarship 2017 - The application for CHED Scholarship 2017 now opened. StuFAPs Committee shall determine the merits of the application. Student applicants should submit the accomplished here and directly to the CHED Regional Office concerned. For more information on the scholarships and application procedures please visit Commission on Higher Education-Philippines website. This program is really highly recommendable and people like this kind of the program. This institute gives the good opportunity to the people and I love this whole stuff that you share in this article. This is the very interesting type of the article.